One byte at a time, obviously! No elephants were harmed during photoshopping. Sometimes, when you have to optimize a poor performing query, you may find yourself staring at a huge statement, wondering where to start. Some developers think that a single elephant statement is better than multiple small statements, but this is not always the case. The optimizer will likely come up with a suboptimal plan, giving up early on optimizations and transformations. Any slight change in statistics could lead the optimizer to produce a different and less efficient plan. A single huge statement is less readable and maintainable than multiple small statements. With those points in mind, the only sensible thing to do is cut the elephant into smaller pieces and eat them one at a time. What should I do with this query?? The queries you will find in the pictures are (in very small part) a MySQL stored procedure I had to rewrite recently, so don’t try to run them in SQL Server. The syntax may be different, but the method still stands. Use one of the many SQL formatters you can find online. My favorite one is Tao Klerk’s Poor Man’s T-SQL Formatter: it’s very easy to use and configure and it comes with a handy SSMS add-in and plugins for Notepad++ and WinMerge. Moreover, it’s free and open source. A must-have. Once your code is readable, don’t rush to the keyboard: take your time and read it carefully. Do you understand (more or less) what it is supposed to do? Do you think you could have coded it yourself? 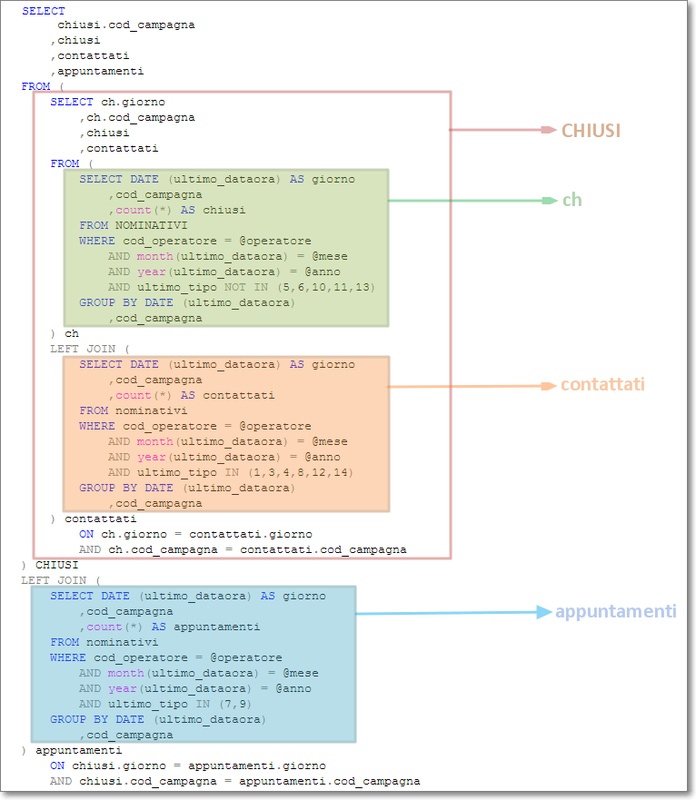 Do you know all the T-SQL constructs it contains? If you answered “yes” to all the above, you’re ready to go to the next step. When the statement is too complicated and unreadable, it might be less time-consuming to throw the old statement away and write your own version. Usually it is quite easy when you know exactly what the code is supposed to do. Just make sure you’re not making wrong assumptions and be prepared to compare your query with the original one many times. When the business rules are unclear (or unknown) starting from scratch is not an option. No, don’t laugh! The business logic may have been buried in the sands of time or simply you may be working on a query without any will to understand the business processes behind it. Bring a big knife: you’re going to cut the elephant in pieces. Sometimes the statement is too big or too complicated to bother taking the time to rewrite it. For instance, this query would take months to rewrite manually. It works? Great: leave it alone. It doesn’t matter how you decide to do it: at the end of the day you will have to compare the results of your rewritten query with the results of the “elephant” and make sure you did not introduce errors in your code. The best way to do this is to prepare a script that compares the results of the original query with the results of your rewritten version. This is the script I am using (you will find it in the code repository, as usual). 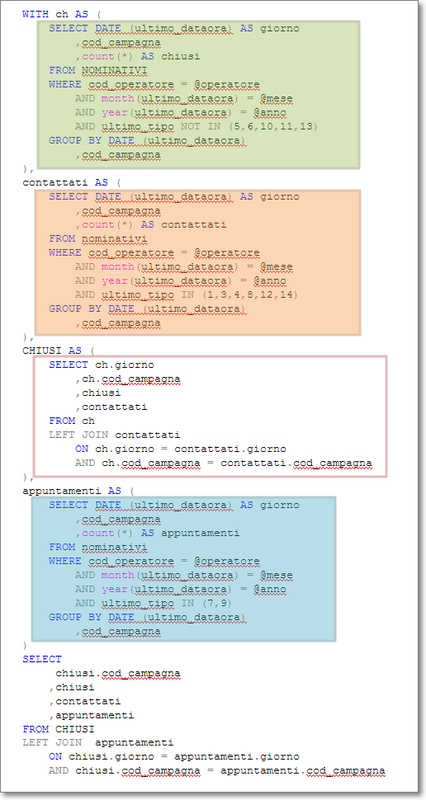 The script is a SSMS query template that takes the results of the original and the rewritten query and compares the resultsets, returning all the missing or different rows. The script uses two CTEs to wrap the two queries: this means that the ORDER BY predicate (if any) will have to be moved outside the CTE. Also, the results of the two queries are piped to temporary tables, which means that you can’t have duplicate column names in the result set. Another thing worth noting is that the statements to compare cannot be stored procedures. One simple way to overcome this limitation is to use the technique I described in this post. Obviously, all the quotes must be doubled, which is the reason why I didn’t set up the script this way in the first place. It’s annoying, but it’s the only way I know of to pipe the output of a stored procedure into a temporary table without knowing the resultset definition in advance. If you can do better, suggestions are always welcome. OK, now you have everything ready and you can start eating the elephant. The first thing to do is to identify all the autonomous blocks in the query and give them a name. You can do this at any granularity and repeat the task as many times as you like: the important thing is that at the end of this process you have a list of query parts and a name for each part. Identify the main parts and give them a name. Usually I like the idea that the data comes from one “main” table and all the rest comes from correlated tables. For instance, if I have to return a resultset containing some columns from the “SalesOrderHeader” table and some columns from the “SalesOrderDetail” table, I consider SalesOrderHeader the main table and SalesOrderHeader a correlated table. It fits well with my mindset, but you are free to see things the way you prefer. Probably these tables are already identified by an alias: note down the aliases and move on. Non-correlated subqueries are considered as inline views. Often these subqueries are joined to the main tables to enrich the resultset with additional columns. Don’t be scared away by huge subqueries: you can always repeat all the steps for any single subquery and rewrite it to be more compact and readable. Again, just note down the aliases and move to the next step. Correlated subqueries are not different from non-correlated subqueries, with the exception that you will have less freedom to move them from their current position in the query. However, that difference doesn’t matter for the moment: give them a name and note it down. Use the names you identified in the previous step and write a query outline. It won’t execute, but it gives you the big picture. Won't execute, but describes what the query does. If you really want the big picture, print the query. It may seem crazy, but sometimes I find it useful to be able to see the query as a whole, with all the parts with their names highlighted in different colors. A touch of colour for my office. Yes, that’s a single SELECT statement, printed in Courier new 8 pt. on 9 letter sheets, hanging on the wall in my office. Ideally, you will choose the one that performs best in your scenario, but you could also take usability and modularity into account. CTEs and subqueries are a good choice when the statement they contain is not used elsewhere and there is no need to reuse that code. Table Valued functions and views, on the contrary, are most suitable when there is an actual need to incapsulate the code in modules to be reused in multiple places. Generally speaking, you will use temporary tables or table variables when the subquery gets used more than once in the statement, thus reducing the load. Though I would really like to go into deeper details on the performance pros and cons of each construct, that would take an insane amount of time and space. You can find a number of articles and blogs on those topics and I will refrain from echoing them here. Some parts of your query may be redundant and you may have the opportunity to merge those parts. The merged query will be more compact and will likely perform significantly better. There are infinite possibilities and enumerating them all would be far beyond the scope of this post. This is one of the topics that my students often find hard to understand and I realize that it really takes some experience to identify merge opportunities and implement them. Hi query, you look very fit. Did you lose weight? 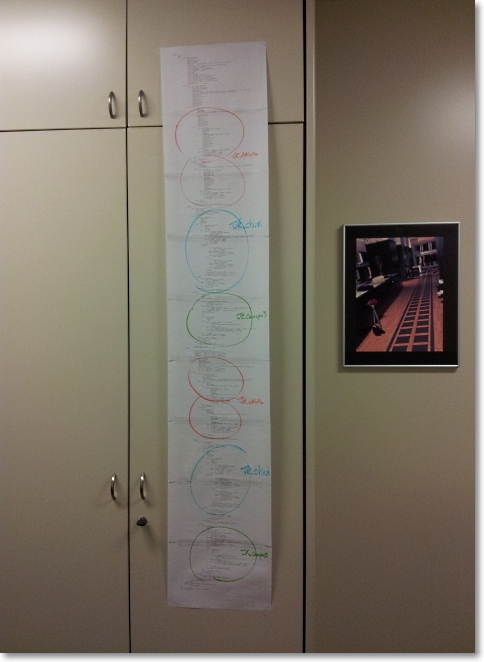 Remember the query outline you wrote previously? It’s time to put it into action. Some of the identifiers may have gone away in the merge process, some others are still there and have been transformed into different SQL constructs, such as CTEs, iTVFs or temporary tables. Now it’s time to see if your new query works exactly like the original one. You already have a script for that: you can go on and use it. Remember that the test can be considered meaningful only if you repeat it a reasonably large number of times, with different parameters. Some queries could appear to be identical, but still be semantically different. 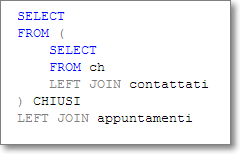 Make sure the rewritten version handles NULLs and out-of-range parameters in the same way. If you don’t comment your work, somebody will find it even more difficult to maintain than the elephant you found when you started. Comments are for free and don’t affect the query performance in any way. Don’t add comments that mimic what the query does, instead, write a meaningful description of the output of the query. a comment like “joins OrderHeader to OrderDetail” adds nothing to the clarity of the code. A comment like “Selects the orders placed between the @StartDate and @EndDate and saves the results in a temporary table for later use” would be a much better choice. If you don't see a hat, sorry: you're getting old. After all, it was not too big, was it? 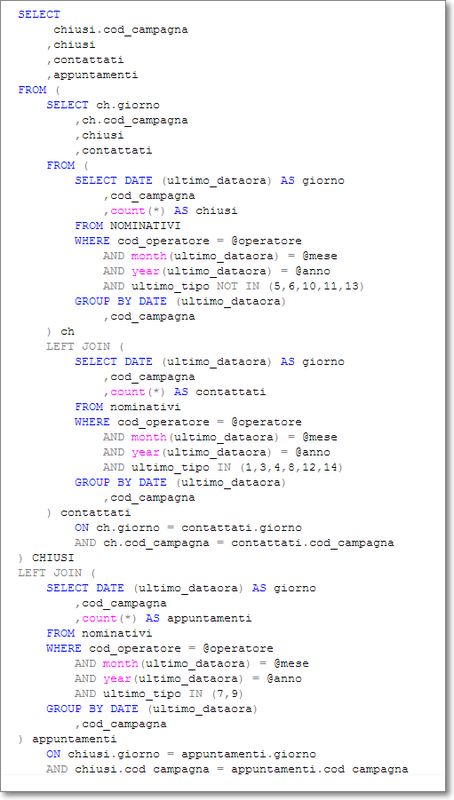 Posted on March 15, 2012, in SQL Server, T-SQL and tagged Optimization, SQL, SQL Server, T-SQL, Tuning. Bookmark the permalink. 10 Comments. Very nice post, my friend! It definitely takes some time and it’s worth every minute IMHO. People don’t like the idea of rewriting something that WORKS, but 90% of the tuning opportunities lies there. Physical optimizazions like indexes and indexed views can mitigate the effect of bad SQL, but nothing like a good rewrite can help performance. That’s one heck of a blog entry you have there, ol’ friend. And very nicely done, as well! Thanks for taking the time to help others. 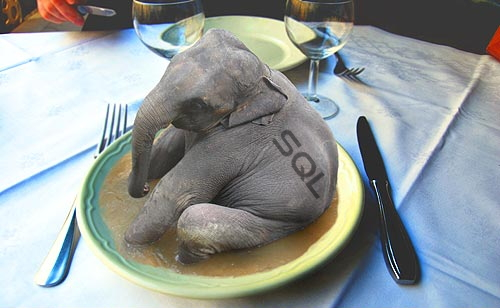 Lots of special “sauce” to help the SQL Elephant go down more easily. I just tried to blog my personal experience and make a method out of it.